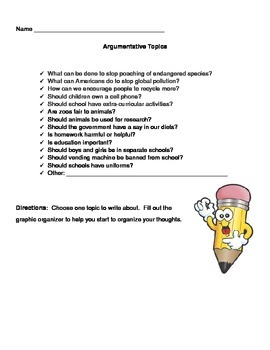 Looking for argumentative topics for your students to write about? Look no further! Be sure to check out the graphic organizer that is common core aligned!